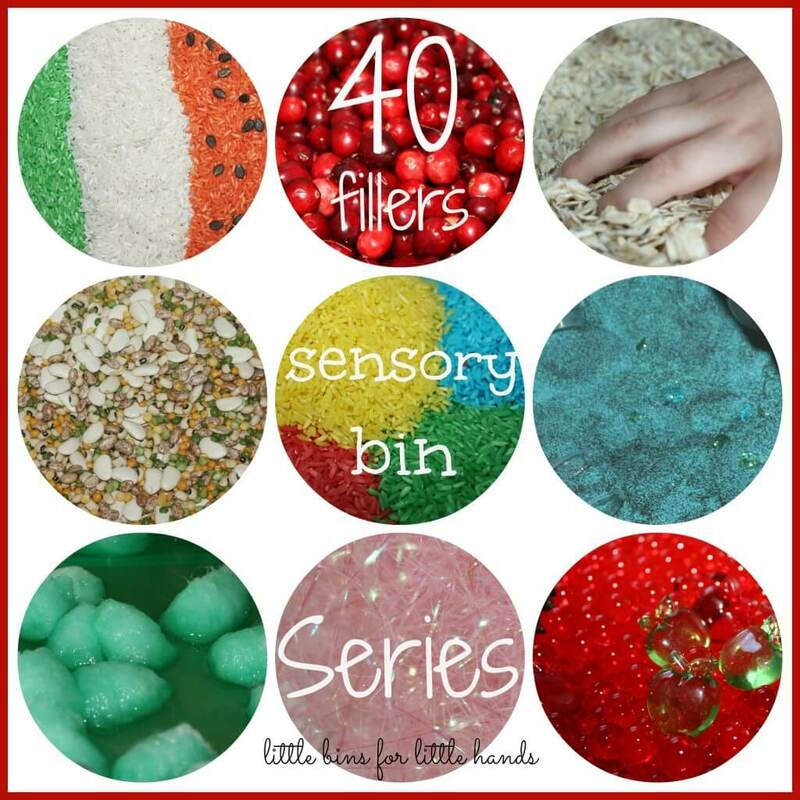 I am so honored and thrilled to be a part of 40 Days of Sensory Bin Fillers, hosted by Sarah of Little Bins for Little Hands. 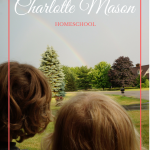 This series has presented 40 bloggers with 40 different materials to help children play and learn and explore! Our chosen filler is corn meal. 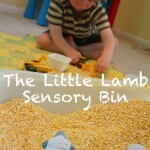 I made a corn meal sensory bin last year with our The Little Lamb book and it was a huge hit. 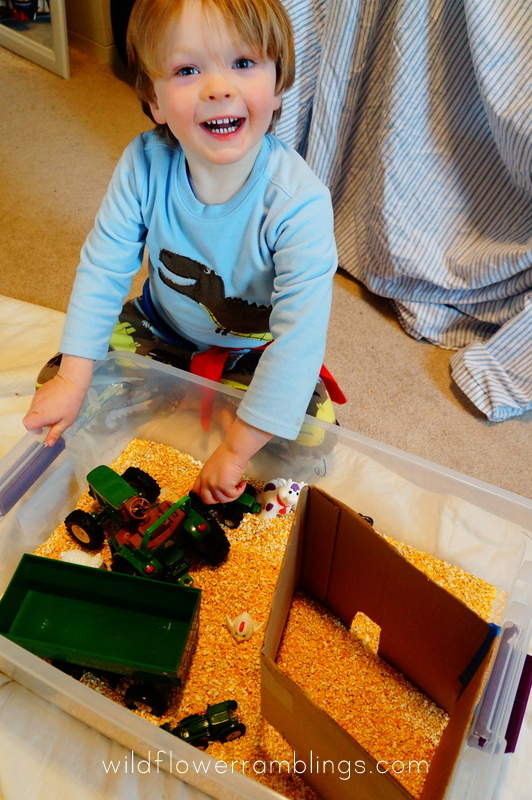 I included little tractors and lambs and let my son explore. 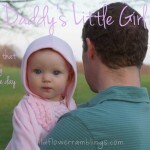 Well, this year, my daughter was involved, and I wanted to create a multi-sensory experience. 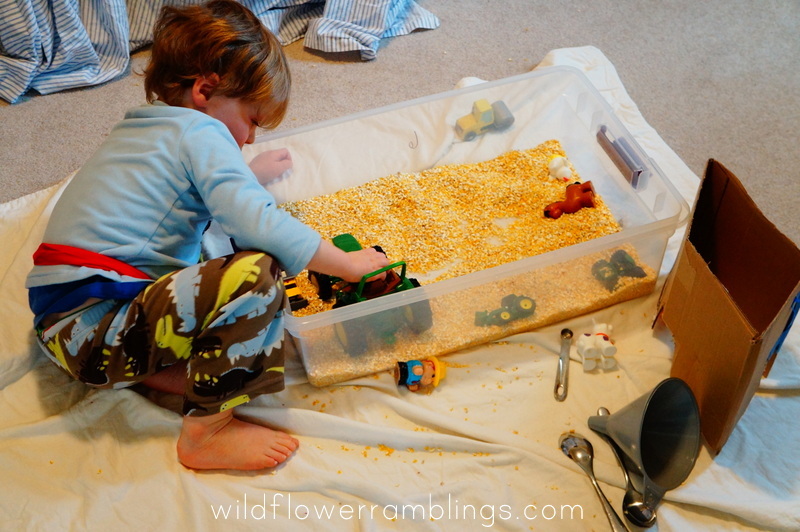 I decided to make our ground corn sensory bin an “Old MacDonald Had a Farm” theme. 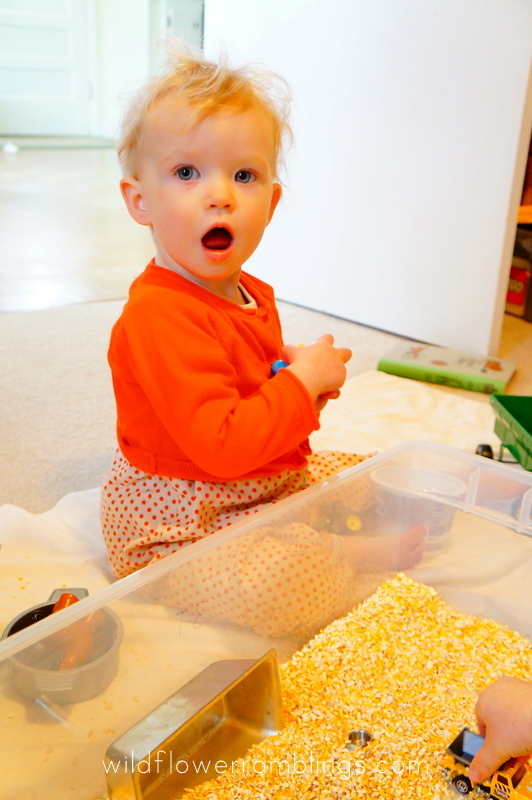 I had *wanted* to have corn husks as part of the farm sensory bin, but realize now that early April is not the best time to find them!! 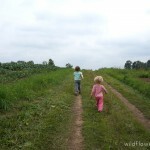 I asked my farmer-neighbor, but he had nothing to spare (though he will next fall!) 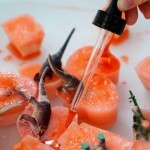 So I’ll have to make another sensory experience focused on old corn ears and husks :) Super fun. 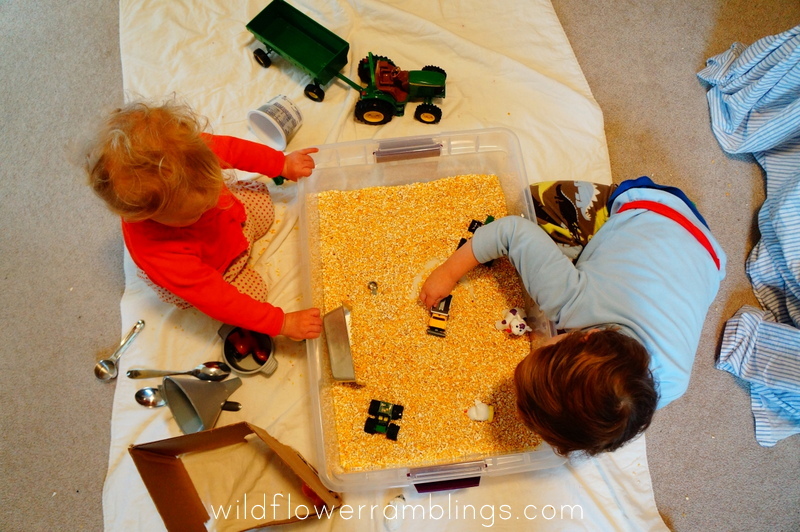 All we used were: some small farm animals (ours were from our favorite tractor toy, but any would do — I would love to get some more realistic ones like the Farm Toobs) and some John Deere tractors and a cardboard cut out makeshift “barn.” Perfect, easy, cheap, an hour of fun. I set the bin on a blanket and let them explore. After a little bit, we sang the song with each of the animals. May love love loved this part. 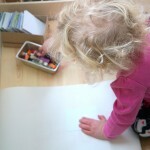 She is learning all of the farm animals sounds. Here she is singing: What a sweetie! John played for an hour after May was bored. He included some of his other favorite trucks. He loves moving the filler around and around, as if a dump truck or a garbage truck or a boat (it depends what day or time you ask). 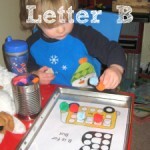 Easy and fun play for children. 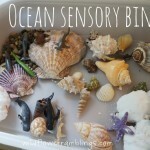 Make sure to check out all of the other sensory bin filler ideas and posts at Little Bins for Little Hands!! 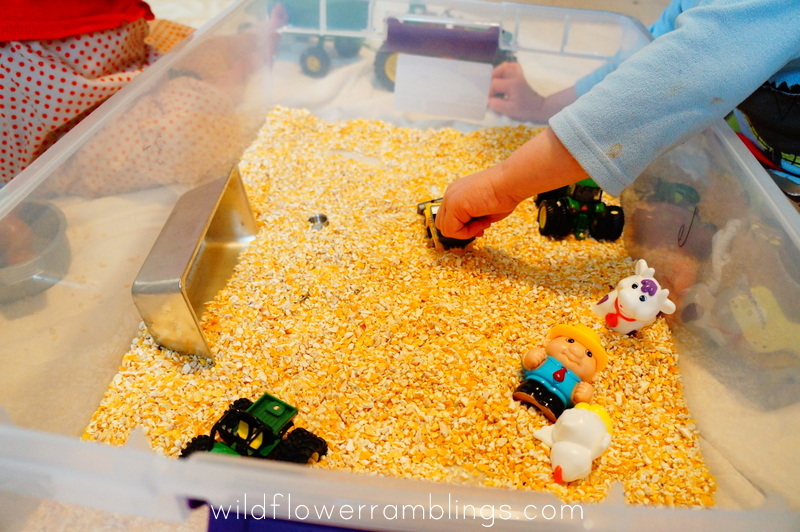 Have a corn or corn meal or farm or Old MacDonald sensory bin that you’d like to share? Please link up!! 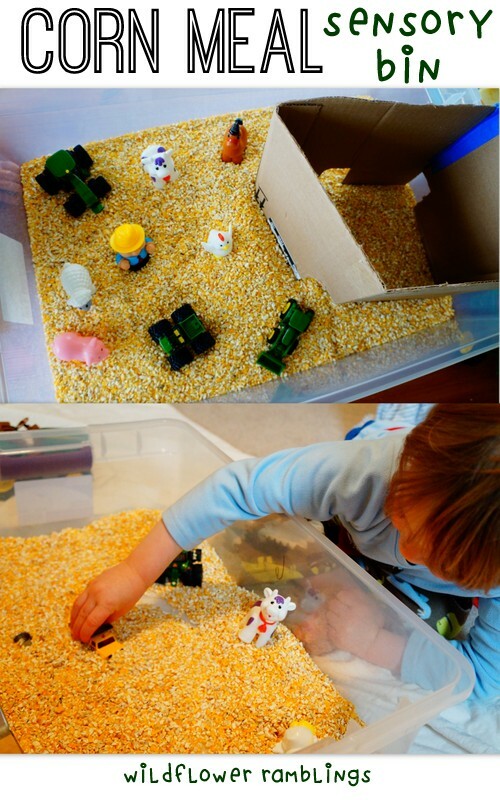 I’ll make sure to pin these to my Sensory or Farm Pinterest Boards!! « Are we too captivated by the screens in our lives?